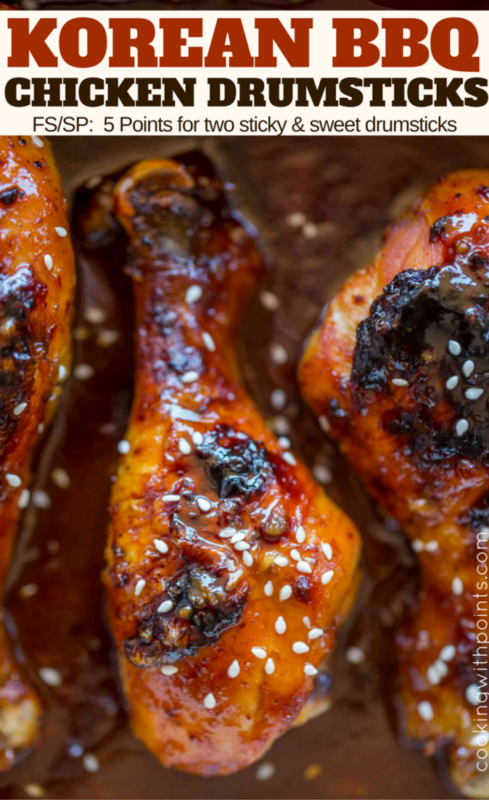 Korean BBQ Chicken Drumsticks are slightly spicy, sticky, sweet, and full of garlic and ginger and crispy even with skin! Just one dish to clean and dinner is done in 40 minutes! 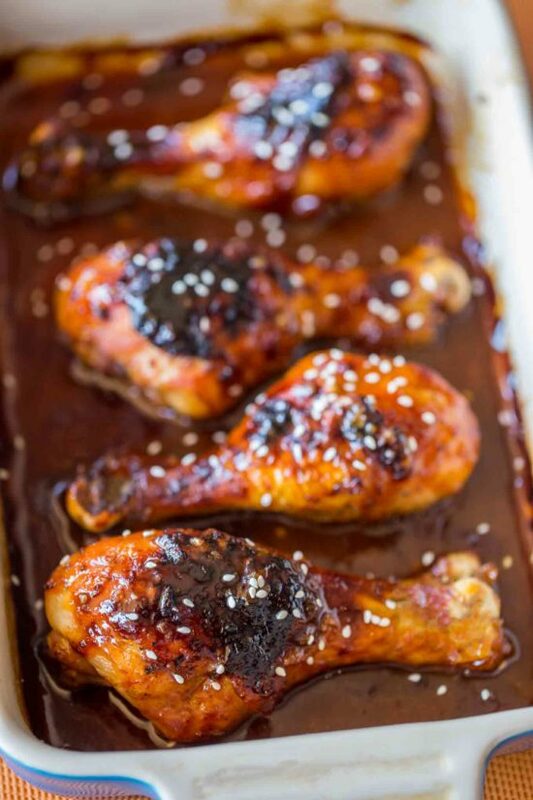 We love Asian recipes, whether healthy or not and while most call for stir fries or breading and frying, these chicken drumsticks are AMAZING and easy to make. I actually toss all the ingredients together in the baking dish and cook so I don’t even have any prep bowls to wash up. Plus, for all the sticky sweet deliciousness you still get two drumsticks for just 5 points. Yes, you can also swap the chicken drumsticks for chicken breast meat (I’ll make that dish for you all soon, but it brings down the points values drastically to basically just the brown sugar). One of my favorite recipes for a quick and easy meal is the super popular Ground Korean Beef you can find online. 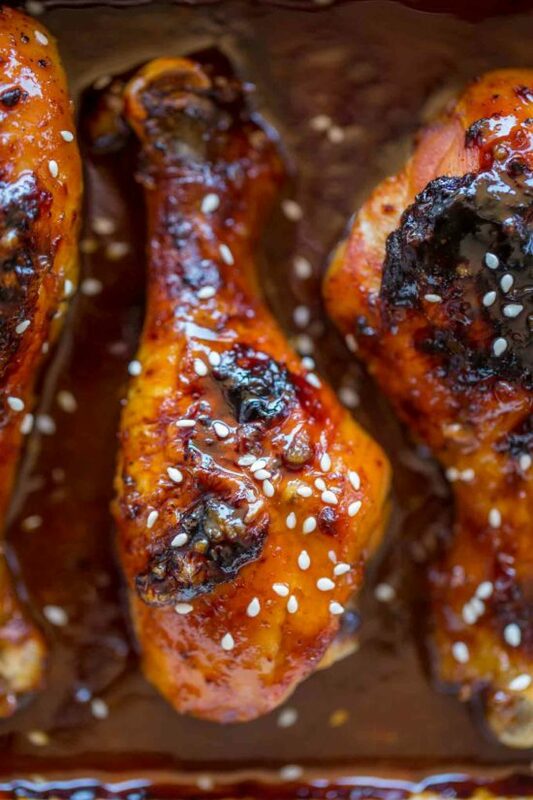 Sometimes I get tired of ground beef (and the recipes usually call for a ton of sugar) so I decided it would be easier and different to roast off chicken legs with the deliciously spicy, sticky and sweet sauce onto skinless chicken legs. Why use skinless chicken legs? Chicken legs handle roasting at high temperatures really well and they taste amazing with the caramelized sugary sauce. Plus sometimes you just want to pick up a chicken leg and take a bite. 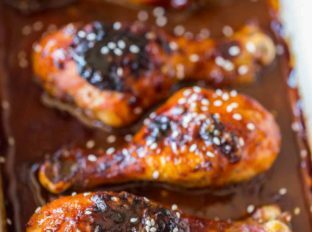 Chicken breast meat is of course delicious but when you’re looking for dark meat flavor chicken drumsticks are a great healthy option. Using a chicken thigh as a substitution would actually add significantly more points to the dish because there is a much higher fat content in chicken thighs. You don’t have to go out and try and purchase skinless chicken legs, to-de skin just pull the skin back from the thicker side of the chicken leg. Don’t try to make the recipe with frozen chicken drumsticks. The additional liquid will thin the cooking sauce. If you want to make the leftover sauce into a glaze you can cook it down to a thicker syrup on medium heat in a saucepan. Sometimes if I want a crispier baked chicken leg I actually score little “x” marks into the chicken. This gives more edges to crisp. Toss all the ingredients together and place into a baking pan. Cook for 30-35 minutes, basting once with sauce. This sounds delicious! Have to make it for my husband! Sweet, spicy, and garlicky are three of my favorite words! These look wonderful! 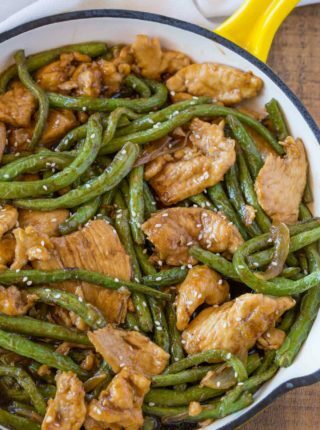 We love Asian recipes! And this one is a must-make!! 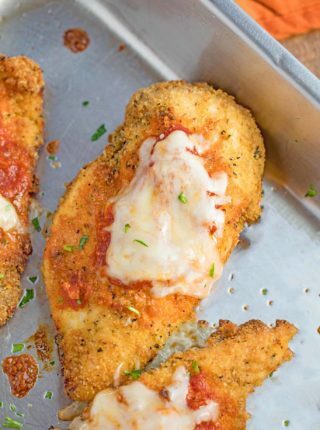 Loving this idea for chicken drumsticks! My family will devour them! I am sure my husband will love this! Looks so good! Oh, do these look scrumptious! Can’t wait to give these a try! I love anything with the Korean BBQ flavors! Wow these looks so good! I have to make these! Thanks, Krista! let me know how they turn out! 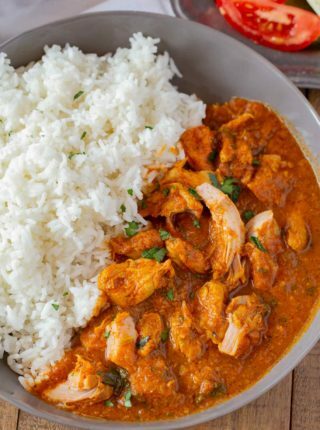 Delicious recipe, will taste it as soon as possible. Cant wait for it. These were so good & so easy to prepare. They have become a weekly meal, thank you. I’m so happy to have a recipe added to your regular rotation! Which points should we follow if we’re doing Freestyle? The PP or SP notation? Jenn, the Freestyle system uses SP, but you have to use the WW recipe builder to measure everything because in Freestyle there are a number of foods that are considered “0-point” foods and get removed from the totals that SP is normally calculated with. Hope that helps! I made this meal tonight it was absolutely amazing !!! My husband loved it. So happy to hear that, Ashley! Thanks for coming back to let us know! 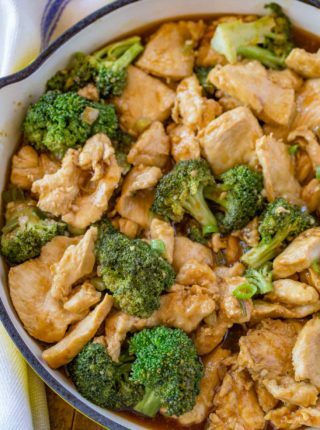 I want to try making this with tofu for my vegan boyfriend, bake it or griddle pan? For the tofu, bake it in a small pan where the sauce will come up higher on the tofu. So glad you loved the sauce! Made these last week and loved it! Cooked down the sauce per the tip you gave and yum! Can I remove the sriracha? It’s going to take out a lot of the heat, but you could certainly do it if it’s more to your taste that way.